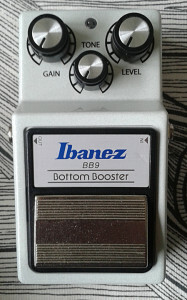 Ibanez BB9 Bottom Booster, from modern 9-series. Made in china around 2010 or so. There are only a few Ibanez designs that are more like meh. This is definitely not one of those. I had interest for this for some time, before i spotted one for reasonable price tag on one auction site. This particular unit was apparently a demo unit for some store. Very little wear and nice near mint condition with original box and papers. Played with this for quite some time once i received it. There is a beautiful traced schematic up at Dirk’s page, so there were no rush in seeing how it is made. Reason for opening it wasn’t as usual as for most pedals. That reason being a small mishap on the studio floor. I had just recorded all base guitars for 11 tracks of 12 for the album we were doing. I thought i needed to add a bit of reverb for the other effect line. I took my previously repaired Boss RV-2 out of the bag and chained it with all the other pedal in that chain. This resulted in nothing more but a hiss. Something went terribly wrong and my BB9 was dead. I figured it had to be some sort of power surge, but since i (obviously) didn’t have suitable tools or spare parts with me, i had to make due with other solutions for the second effect line on the last track. Once the unit was back at my desk, the fault was easy to track down. No power. This is where Dirk’s schematic came in really handy. Don’t know how that surge occurred, but it burned the DC-DC converter (a.k.a. charge pump) chip. As you can see in the (crappy) photo below, the chip on top left is socketed. I almost never use sockets for anything, but since the charge pump on this one *can* die, i figured it’s best to have it socketed. After swapping the chip and polarity protection diode as a precaution, the box rocks again. To get going on this post, the design of the BB9 is solid Maxon quality with modern board design and manufacturing method. If you checked the schematic linked above, you’ll see a power supply section that creates a bipolar +9/-9 volt swing with LT1044 DC-DC converter. 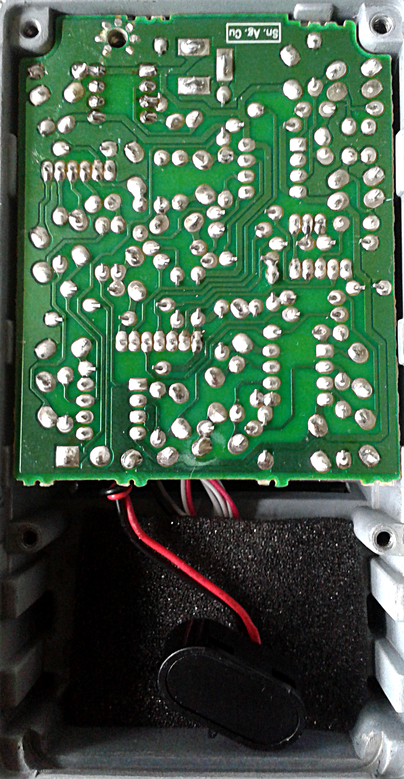 This means that the pedal runs actually on 18 volts, using ground’s zero volts as a reference voltage. For me and my fix, i only had ICL7660S chips at hand, but these are pin-to-pin equivalent and they can be used as a drop-in replacement for each other. On the topology, is one half of JRC4558 acting as input buffer. Then we have dual gang potentiometer setting the level of signal passed to gain recovery and the actual gain of the clipping amp that is paired with a static gyrator that sets the boosted frequencies. After these we have active tone control to have nice control over the treble content. This leads to level control and output. Not too conventional way to create overdriven boost. What comes to box design, it surely ain’t as aesthetic as the 30 year older 9-serie units. It isn’t ugly though. Sort of reminds me a bit of build methods we can find in Marshall small metal series pedals. Pedal follows the original series on the enclosure and carbon film resistors, but not much else. Here we have four separate boards to ease the manual labor. Neat and beautiful on the outside, but pretty dull on the inside – except for the circuit design. So good that no words are enough to match it. BB9 offers mild overdrive tones with really, really good sounding frequency response. It is not a distortion nor a classic overdrive in sense of tubescreamers or others, but something that brings your tube amp alive in a manner that can only be matched by few others. Also, it’s not a clean booster. It is a pedal that will give out better, no matter how subjective that term is, overall tone. Little bit of grit and boost combined. Even the voltage swing has a strong emotion-like feeling of great amount of available headroom. This is definitely one of the greatest sounding Ibanez branded boxes. Ever. This entry was posted on Wednesday, September 3rd, 2014 at 12:00	and is filed under 9-Series, Ibanez. You can follow any responses to this entry through the RSS 2.0 feed. You can skip to the end and leave a response. Pinging is currently not allowed. Hey Miro! Will you be taking a shot at a vero layout for this one? I realize 3 IC’s + charge pump is quite a lot but it would be so great to see a layout for it. Greetings. Bart. Plugged to the computer and seems on the vst analyzer the high pitch sound is always there, only masked by various settings. Hard to hear on combo amp. Me or the store owner never heard such issue before, currently I’m waiting for a new unit to change with the current one. I could get something else but yeah the pedal is awesome. But. You should probably measure your power supply just in case. The MAX1044 chip will die instantly if it gets more than 12V from the supply. And on this pedal, the chip isn’t protected in any way. Thanks for the info, I’ll definitely keep this in mind. Hey Miro! I bought one of these on ebay. It sounds really nice, but there’s a quite loud noise, when I press the switch. Is this normal? Can I fix it? I’ve heard about the same issues on some units. Mine doesn’t have this behavior, but i’ve heard that some do. There are pulldown resistors in place for both in and out and the switching is mechanic, so my guess would be that the inductors (L1 and L2) are the ones causing this effect. You could try to short them out of the circuit and see if that helps. Thanks for your quick answer, Miro! I compared the schematic with your vero layout. You built it without the two inductors, I will try to short them next week! Bye the way: Are you interested in an Award Session JD-10? I soldered out the inductors L1 and L2 and replaced them with links. I think the noise is now not so disturbing as before, but there must be a problem with the new Ibanez switches too. When I press the switch very softly, there is no noise, but when I press it with more power, the noise is still there (sort of key velocity!?). What are the inductors for? I’m not completely sure, but i think those are used for some sort of protection of the signal path. 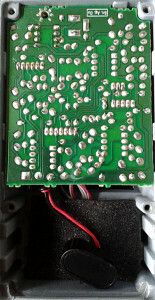 Most modern EHX pedals have similar feature, only using ferrite beads. I’m not sure about the switch being the culprit since i’m currently only aware of this behaviour happening with BB9, but not with the other boxes from the same series. I haven’t noticed this issue on my unit. Guess i should do some reading to understand this issue a bit further. I bought a silent BB9 that had dead MAX1044. This page helped me to locate the problem, thanks! Maxim’s datasheet says that absolute maximum supply voltage of MAX1044 is even as low as 10.5V. 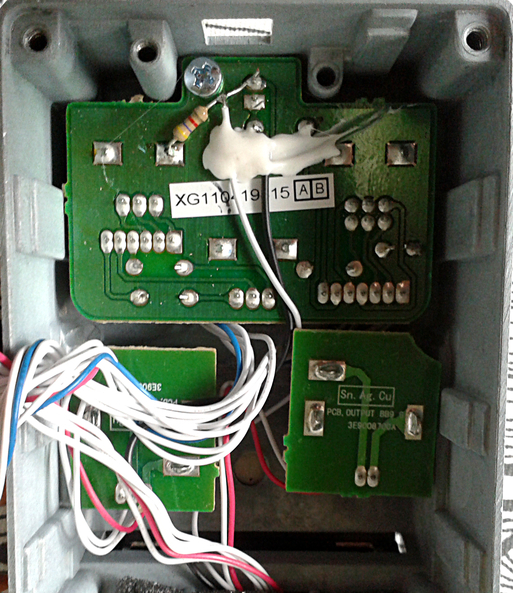 I replaced it with Microchip’s TC1044SCPA that has 13V max supply voltage. I also added a 12V zener to protect it. BTW, I have the noisy switch problem too. Works great after the ts9, crack the gain and a very solo friendly overdrive tone. Also works before the boss mt2, decrease dist knob on the boss and boost a lot from the bb9. I get a very smooth (amp-like) distorted solo tone. Hello. Thanks for this page, it just helped me to repair a faulty BB9. 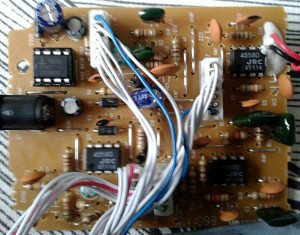 MAX1044 was dead, replaced it by a TC1044SCPA (socket mounted) and added a zener protection (1N4740) on the other side of the board between pins 1 and 3. 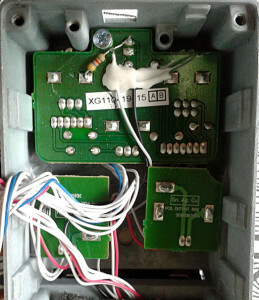 Mine has also noisy switch issue, i fixed this by unmounting the switch board and spraying a massive load of contact cleaner in the switch and wait few minutes. Now it is silent. Entries (RSS) and Comments (RSS). 24 queries in 0.138 seconds.